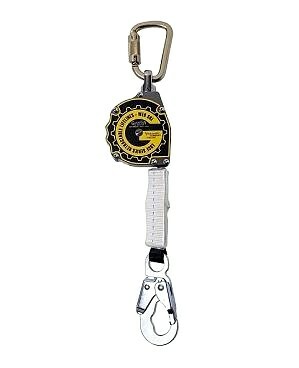 PRODUCT: Guardian #10900 11' Aramid Fiber Web-Retractable Lanyard with Swivel Top, Snap Hook, Lightweight Aluminum Housing. 4.5-lbs. Price/Each. • Lightweight design - 4.5 lbs.